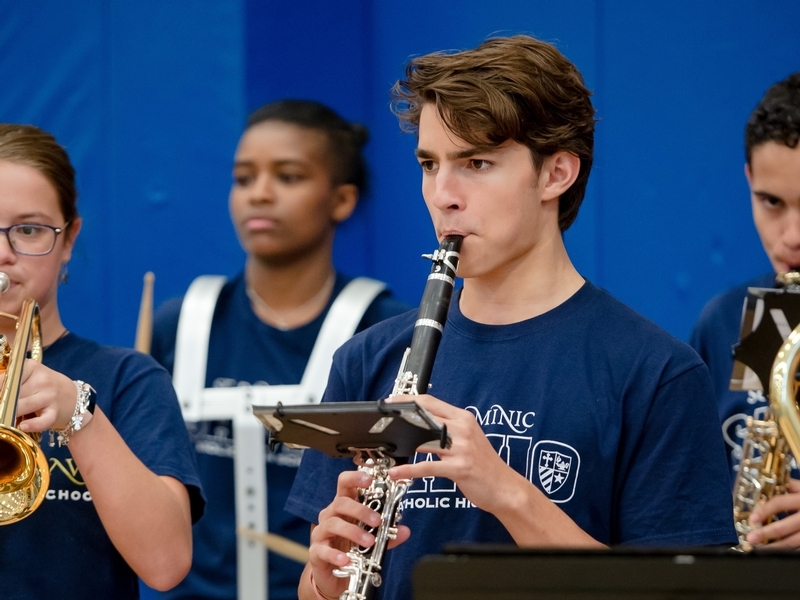 St. Dominic Savio is an active and thriving environment that offers many exciting opportunities for students to engage their interest and participation through a variety of activities, including our talented fine arts department. Students are able to explore their interests in fine arts including the following areas; Visual Arts, Theater, an annual Musical Production, Choir, Band, Orchestra and a variety of musical ensembles in Percussion, Guitar, Wind Instruments, Strings and Jazz Band. View the schedule for the upcoming events and competitions for our Visual and Performing Arts program. Advanced Photography practices camouflage techniques. Pep Band plays for a Pep Rally in the Fall. Advanced Photography Class project practices camouflage techniques.